ASME SA335 P91/ ASTM A335 P91: UNS K91560 or UNS K90901? 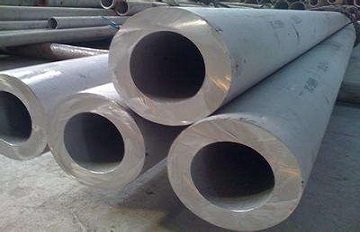 The ASME SA335 P91/ ASTM A335 P91 seamless pipes are widely used in power plant steam piping systems. However, in engineering practice, you will find that P91 steel is designated with two UNS number: UNS K91560 and UNS K90901. This may confuse a lot of people. Which one is correct? ASTM A335 P91 seamless pipes: I.D=330 mm, W.T=42 mm. Generally, ASTM A335 shall be identical to ASME SA335. In different versions from ASTM A335 – 2003 to ASTM A335 – 2016, Grade P91 has the UNS designation of K91560. However, it is UNS K90901 according to ASME SA335 – 2007. In ASME SA335 – 2013 of BPVC Section II Part A, a correction has been made and P91 is designated as K91560. However, in ASME BPVC Section II – 2013 Part D, P91 is ironically still referred to as UNS K90901. The chaos may result from different steel nomenclature systems. Through above analysis we can see that K90901 is the old UNS number of P91 and it is now superceded by K91560.